being little • bristol uk fashion & lifestyle blog. 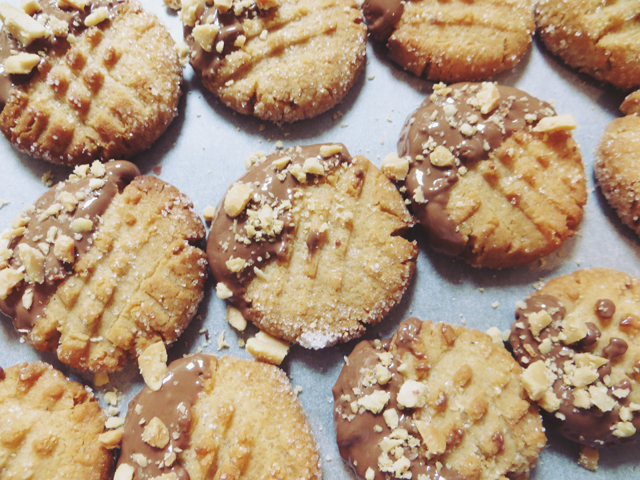 : chocolate dipped peanut cookies. Sometimes, I get in the mood for baking, but I have no idea what I actually want to bake. That's where my Pinterest sweet treats board comes in handy. I can browse through and find something I'd like to make. On this particular occasion, my friend at work helped me choose, and damn it was a good choice! 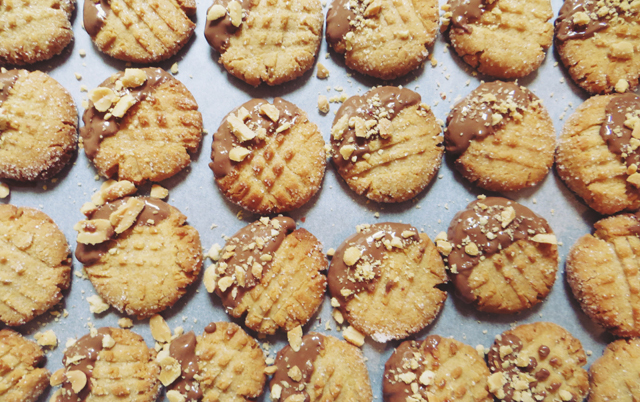 This is a recipe from one of my favourite blogs, Joy the Baker. I had to change a few things, as I couldn't get my hands on all the ingredients required, but click the link for the proper recipe! Also, it's in cups, but you can get cup measures everywhere now - pretty much every supermarket has them. • Whisk together the flour, baking powder and salt, and set aside. • In an electric mixer with paddle attachment, cream together the butter & sugars for about 3 minutes, until light and fluffy. 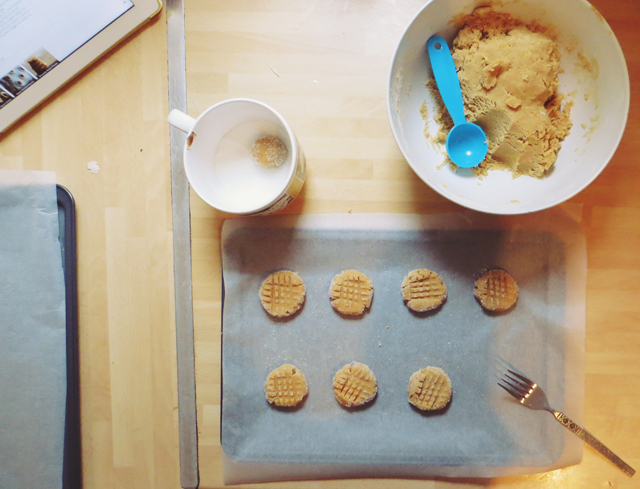 • Scrape down the sides of the bowl, and add the vanilla & egg, followed by the peanut butter, until just combined. • Add in the dry ingredients and beat on a low speed until just combined. • Finish mixing with a spatula, and pop it in the fridge for 30mins. • Preheat oven to 180ºC & line baking trays with greaseproof paper. 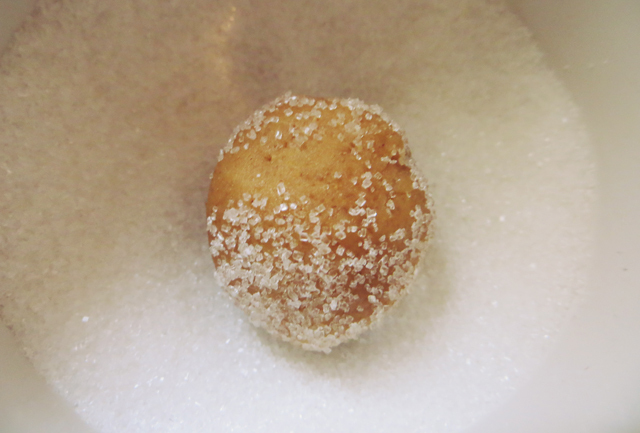 • Take a tablespoonful of dough and roll into a ball & then coat in sugar. • Place on the baking tray and create a cross-hatch pattern with a fork, making sure you press down quite a bit. • Cool on trays for 5 minutes, and then transfer to a wire rack. • Melt chocolate and dip the cookies about a third of the way in. Place on a sheet of greaseproof paper, and sprinkle with the chopped peanuts. • Put them in the fridge to harden the chocolate. One of the many things I love about these cookies is that they're bitesize.. which means you can never have just one! These look delicious - and nice, simple ingredients. 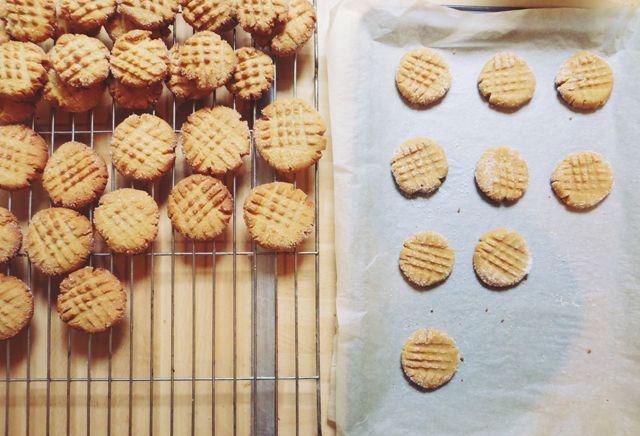 I have nearly all of them in so will be saving this recipe next time I need something sweet and biscuit-shaped! I really want to give these a try but the last time I baked cookies they turned into buttery sheets O.O I think I didn't put enough flour but I followed the recipe exactly! I think the recipe lied to me. oh my goodness these look goooood!